I really have no clue as to what is happening. I am trying to open Super Mario Sunshine and Mario Kart Double Dash, both of which used to work fine but now dont work at all. Any help would be greatly appreciated. I am also running Windows 10. The entire Dolphin program then freezes after receiving this error. No matter what I do to update them, the install always fails. What do I do? 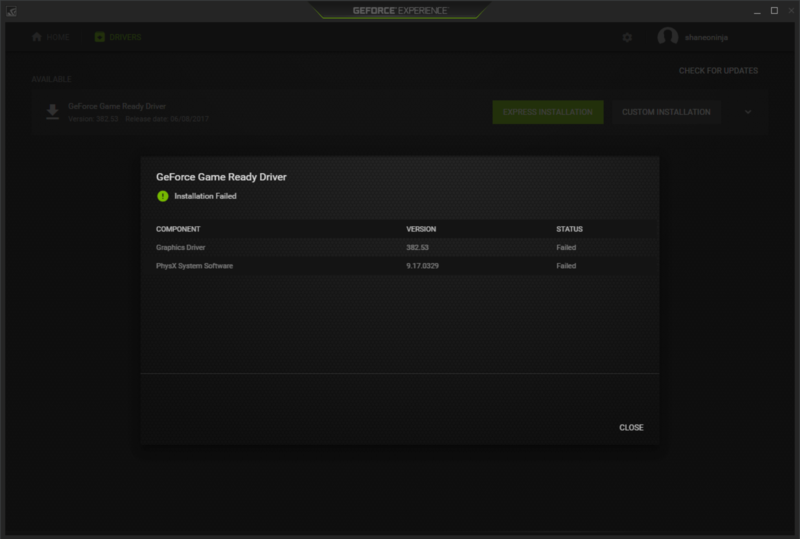 On Nvida GEForce Experience Program it fails and when i download the installer for the drivers themselves off the nvidia site it also fails. What part of it is failing? Is there an error code? Have you tried doing a clean install? (06-22-2017, 03:16 AM)KHg8m3r Wrote: What part of it is failing? Is there an error code? 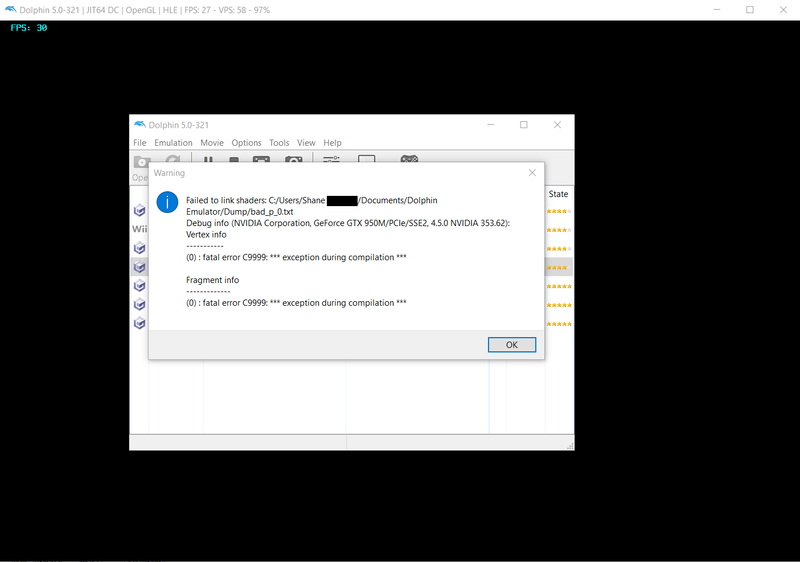 When you install your drivers do a custom install rather than express and then select clean installation. (06-22-2017, 04:31 AM)ExtremeDude2 Wrote: When you install your drivers do a custom install rather than express and then select clean installation. Cool, let us know if it fixes your problem. (06-22-2017, 04:53 AM)ExtremeDude2 Wrote: Cool, let us know if it fixes your problem.